When Roger Howe and Scott Incz started BW Broadcast in 1997, it was to fulfill a need that they saw in their own beloved medium: radio. Both were interested in radio from an extremely young age. Roger was only eight years old when he began tuning in on a transistor radio he built himself. By fifteen, he was building AM and FM transmitters, which he continued to build and develop all through school and into his career, where he developed technology for both commercial and military applications. Also at a young age, Scott was pulling apart toys and electronics to get at the wiring and see how they worked. By the time he was a teenager, his interest in programming, computers, and popular music began to fuel a desire to start his own radio station. The real world (rent and the need to eat) pulled him into the telephone systems engineering industry, but he never lost his love of FM transmitters. Roger and Scott bonded over their mutual love of radio, its technology, and the desire to provide industries and individuals with cool equipment. The both felt that the industry was missing something: smart, rugged, reasonably priced FM gear, developed by a company that actually cared about those who used their products. This was the goal of building their company, and they found that there were plenty of others looking for the same type of gear. When the opportunity game to start offering their products to a global audience, they jumped at the chance. Now, just about anyone can get their hands on smart gear, priced right. 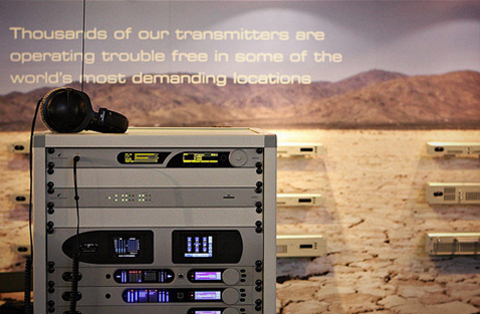 In the years since its inception, the BW Broadcast brand has become internationally recognized as a supplier of high-quality, affordable FM broadcasting equipment. Value and our customers, not profit, are our major concerns. The best equipment, at a great price makes happy customers, so we focus on creativity and innovation to create the very best, most functional, and most enduring technology that we can. With a team of twenty-five people, we export FM radio transmission equipment to almost every single country in the world. We know that this is possible not just because of our dedication to excellent tech, but also to unsurpassed customer service. Despite being a relatively small company when compared to our competitors, we provide big value. Keeping our team small means keeping our process streamlined and our company atmosphere fun; in addition to producing great tech, we love being known as a company that's great to work for. We value relationships just as much as we value the quality of our equipmen - the two go hand in hand. In short, we provide innovative low-power FM transmission equipment, RDS encoders and processors for FM, AM, HD Radio, and Internet Broadcast, and a range of other broadcasting equipment. We use out of the box thinking to create solutions that fit our customers' needs and work reliably. We do all of this while maintaining an atmosphere of fun and emphasizing the importance of customer service and our customers themselves. Putting customers first and developing a fun and friendly company culture has enabled us to build lasting relationships not just with some of the world's most popular radio stations. It also allows us to be a part of a number of exciting projects. BW Broadcast has provided technology for the both Soccer and Rugby world cups, as well as the Olympics. We routinely take the opportunity to build special transmission solutions for non-profits, charities, government, and military organizations. Drive-in movie theaters, sports stadiums, and automobile manufacturers all us our technology in one way or another. You have probably experienced BW Broadcast equipment without even realizing you were using it. That's why we do this, to create products that work and work well, at an affordable price. All of this boils down to creating cool technology and happy customers. We build great equipment in order to build great relationships with our dealers, so they and their customers always know where to turn when they need something that is as awesome as it is functional. We don't just churn out the same humdrum tech over and over - that would bore us as much as it would bore you. Instead, we focus on creating equipment that puts the fun in functional; it's creative, innovative, intuitive, and best of all, it actually works when you need it to work.